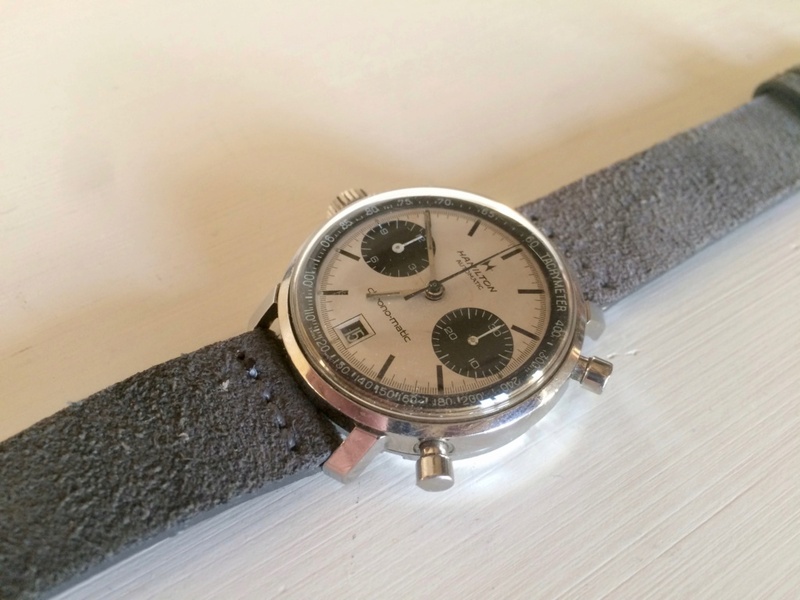 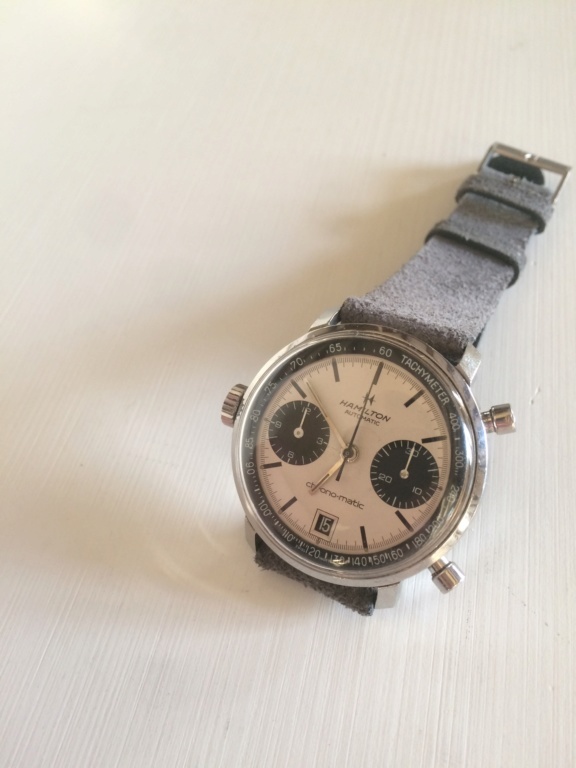 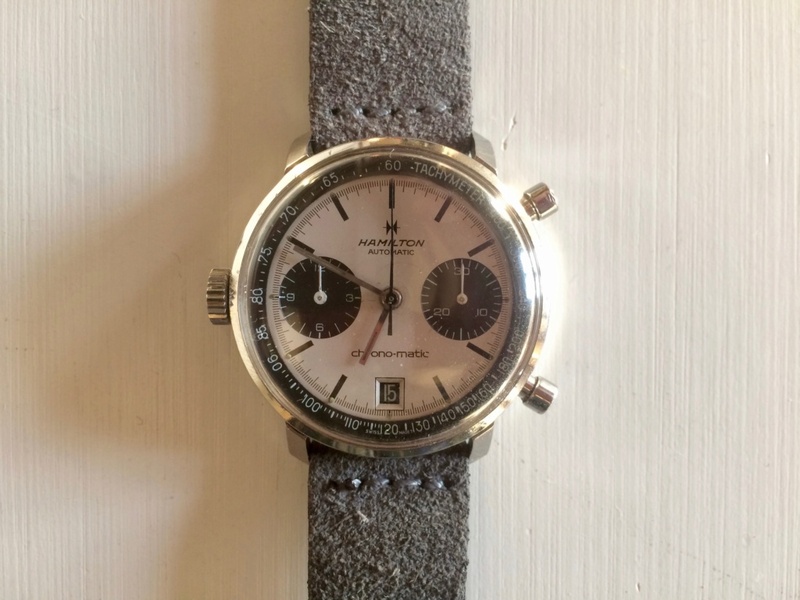 For sale is my early 1970s Hamilton Chrono-Matic with the highly desirable panda dial and renowned caliber 11 movement, one of the first automatic chronograph movements in history. 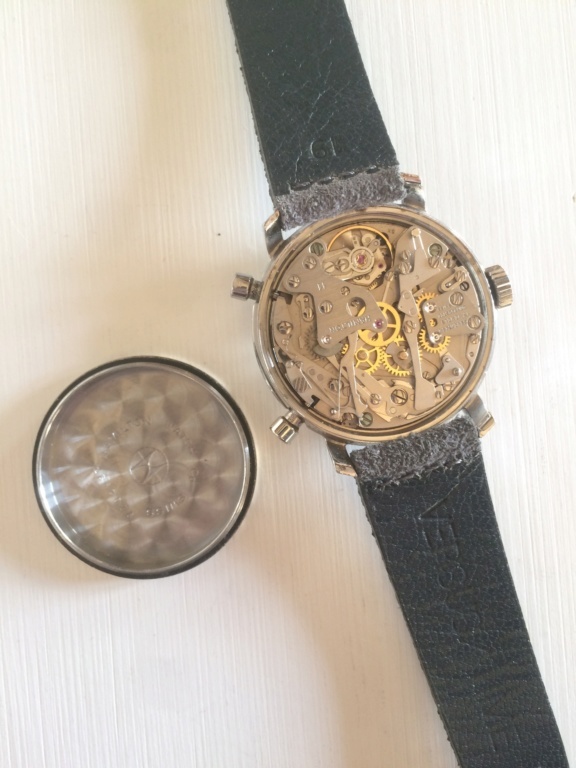 This watch is in great condition. 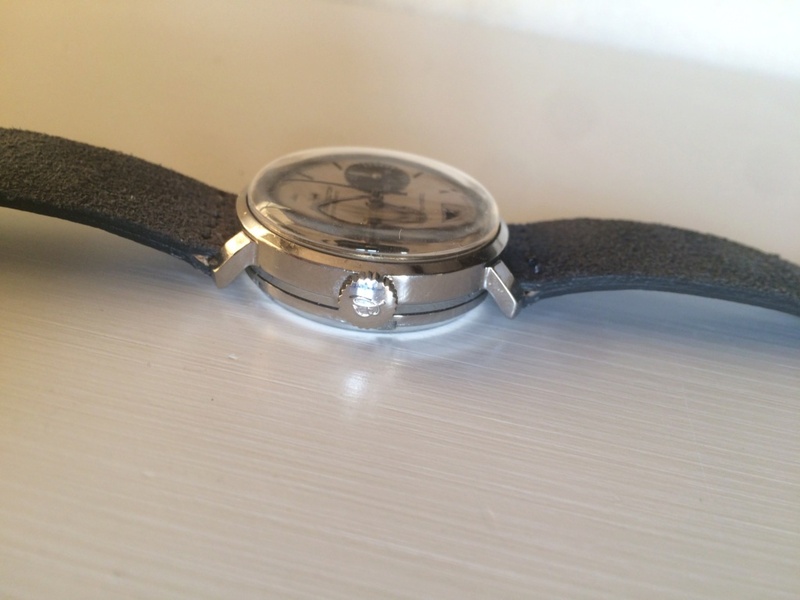 Dial and hands are flawless and case shows minor scratches, nothing significant. 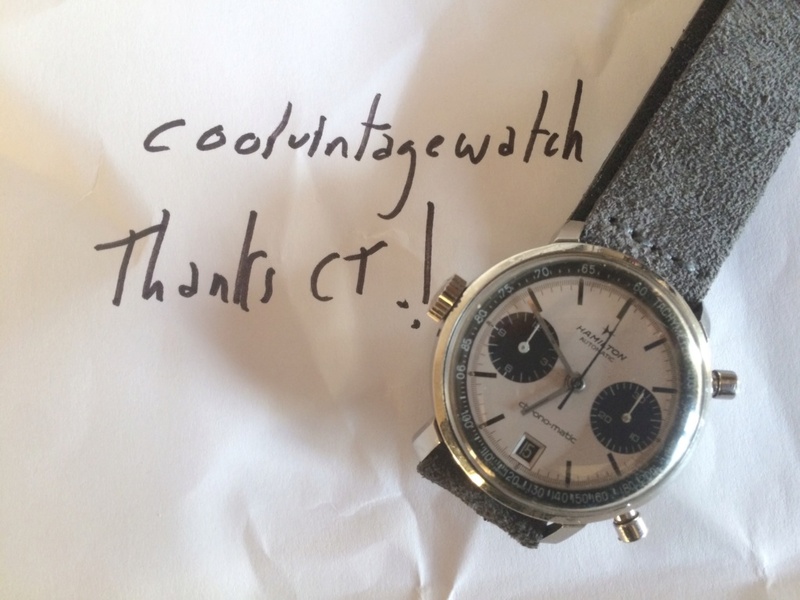 The only small issue is the replacement crown, signed Breitling. 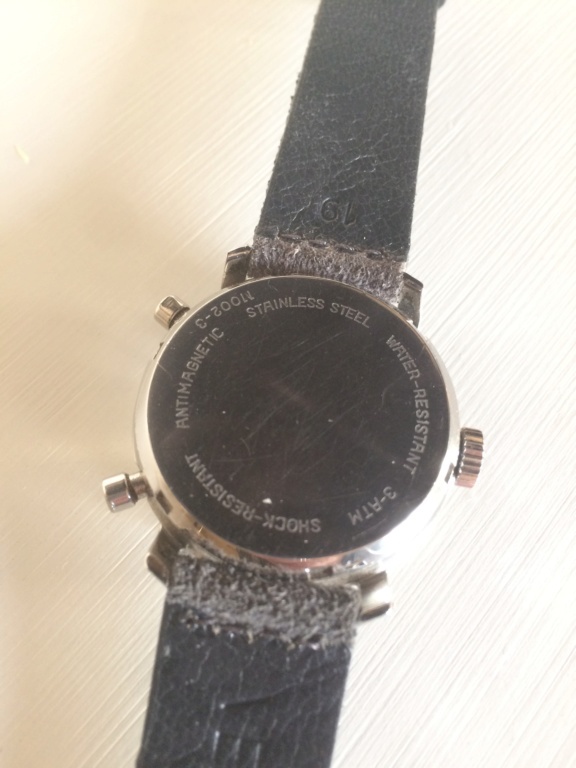 The watch has been serviced last year and runs good. 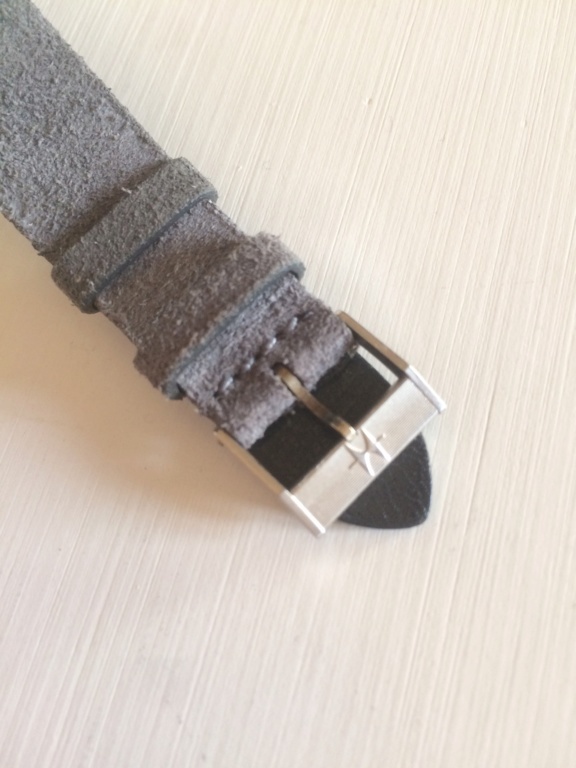 It comes with a grey suede strap fitted with a vintage Hamilton buckle, correct for this model. 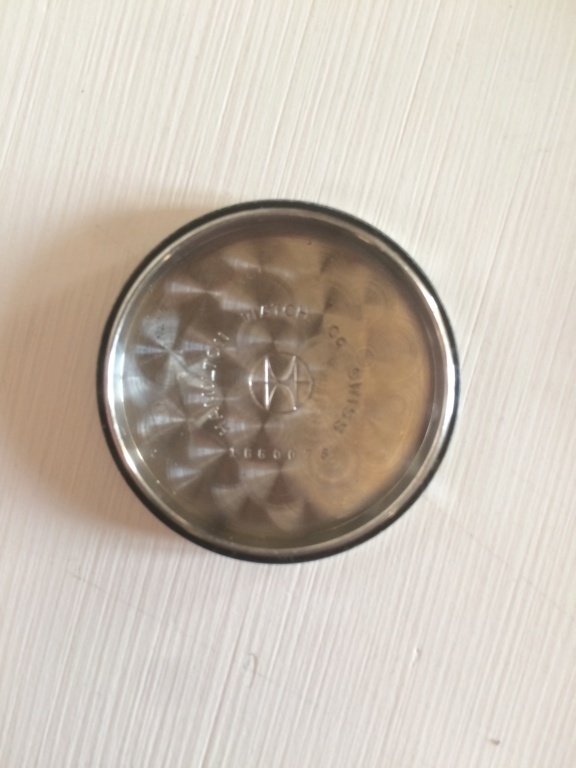 Don't hesitate to ask for HR pics.